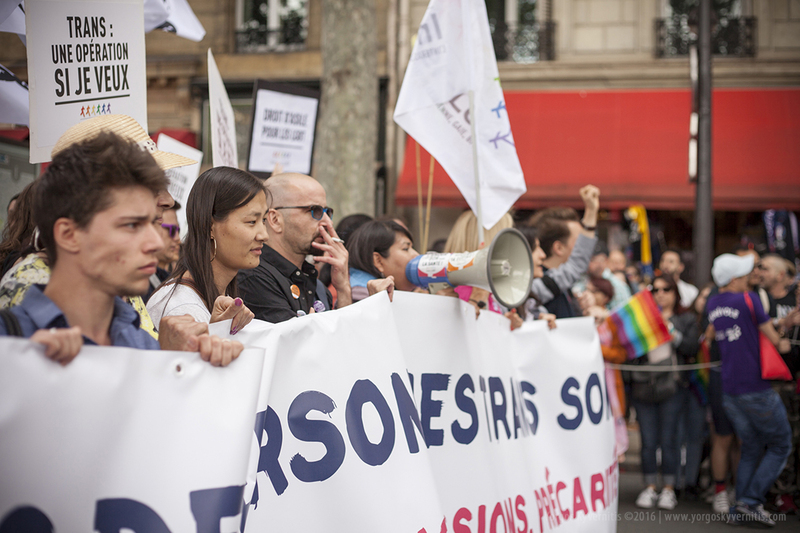 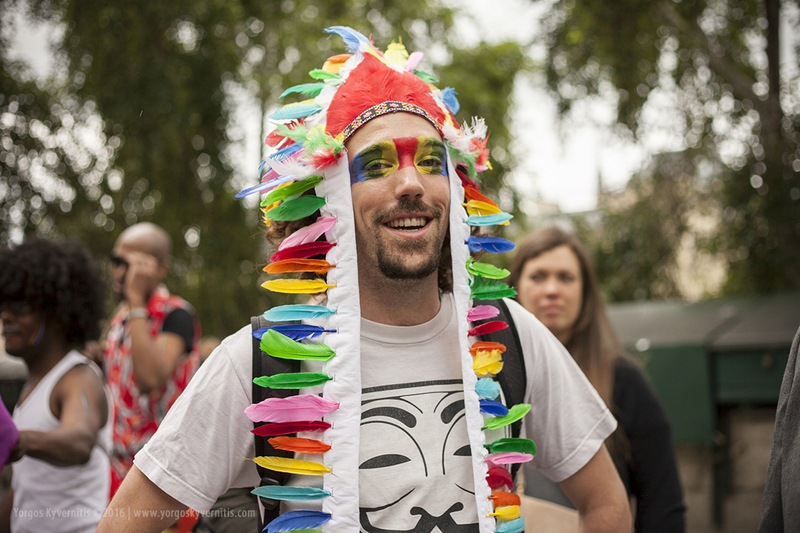 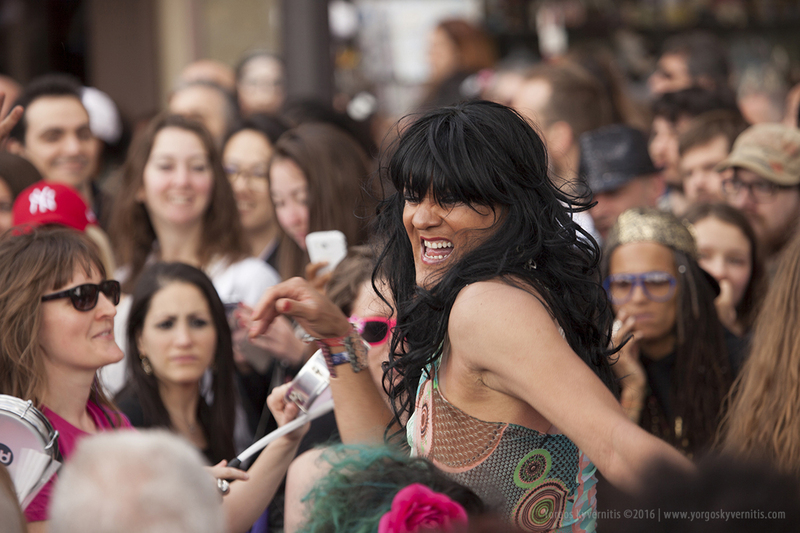 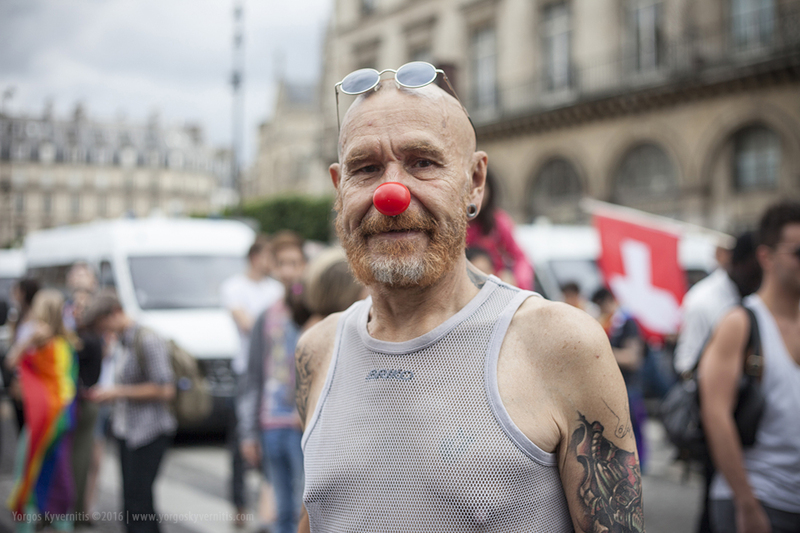 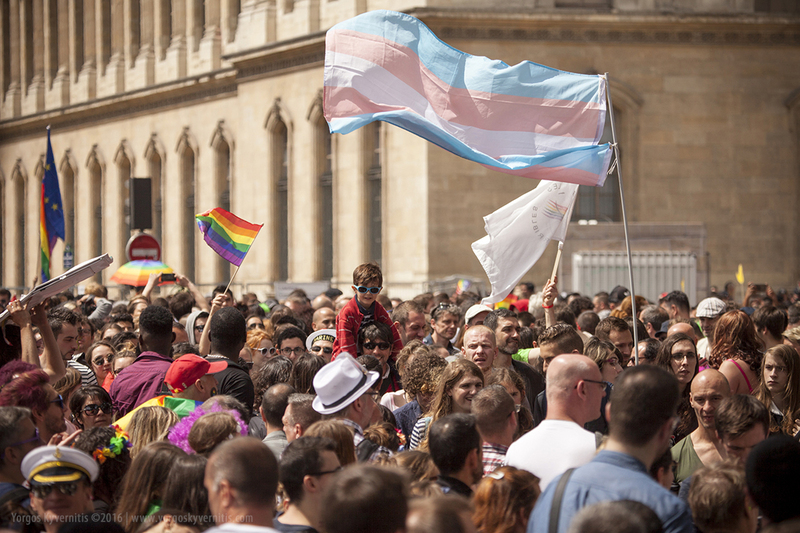 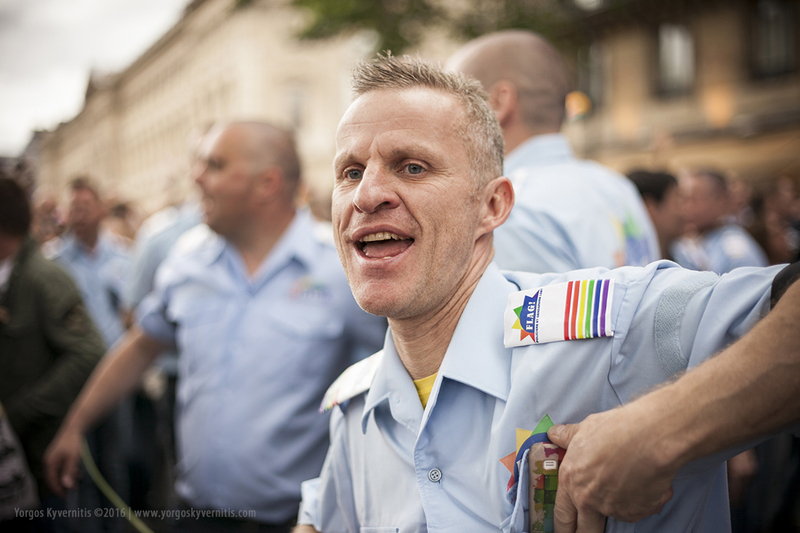 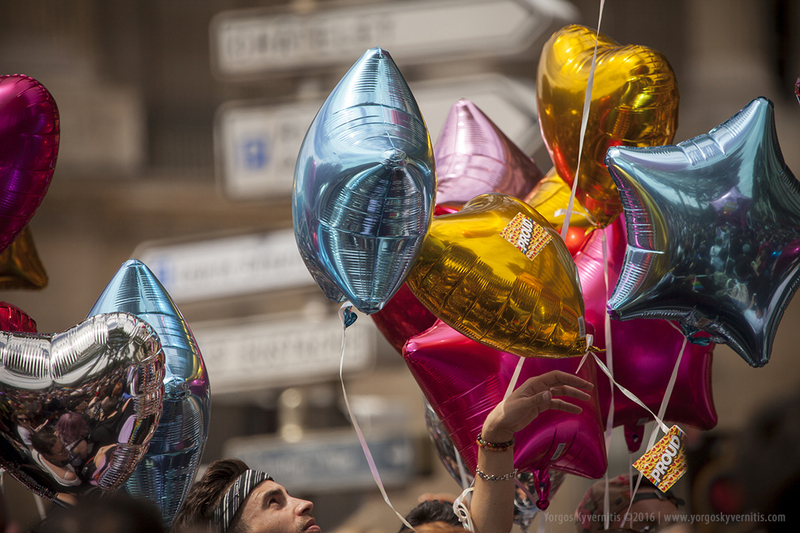 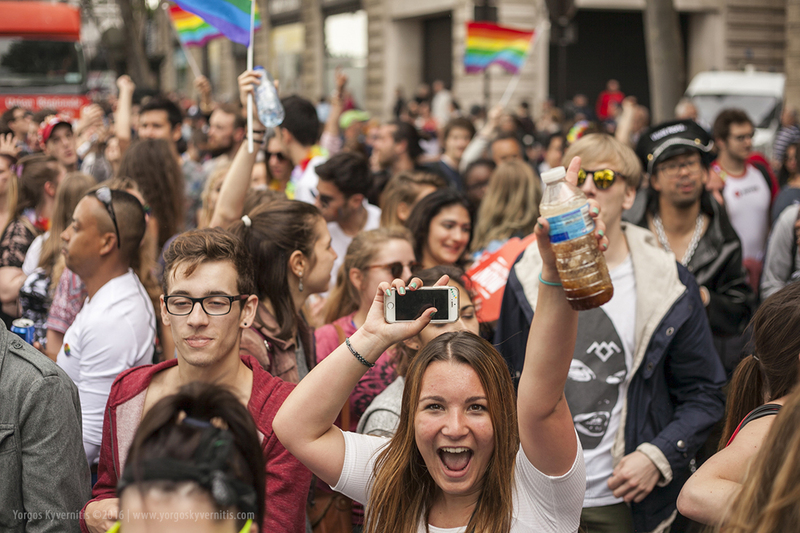 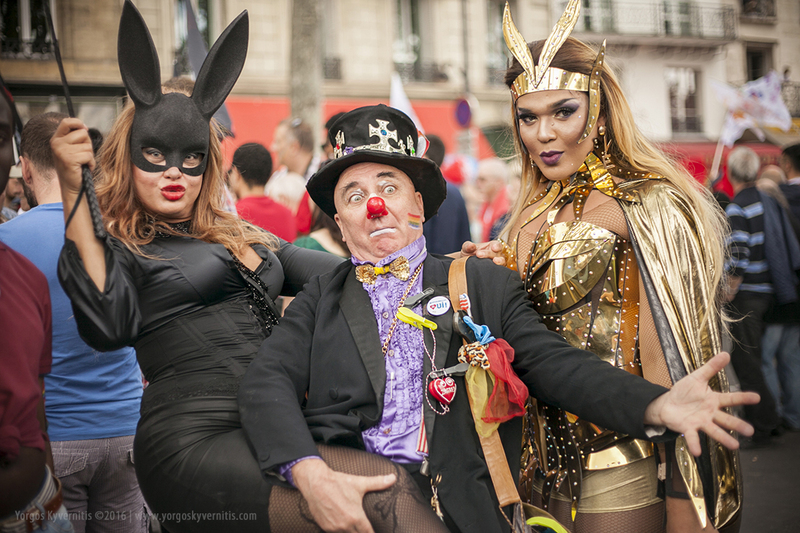 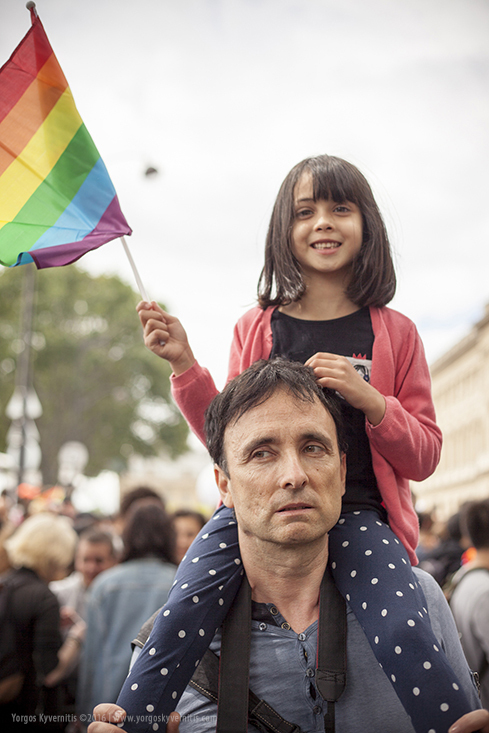 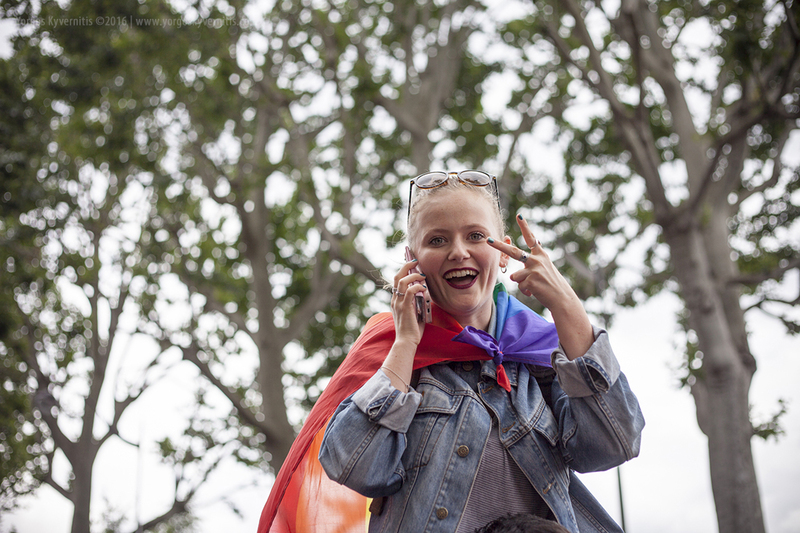 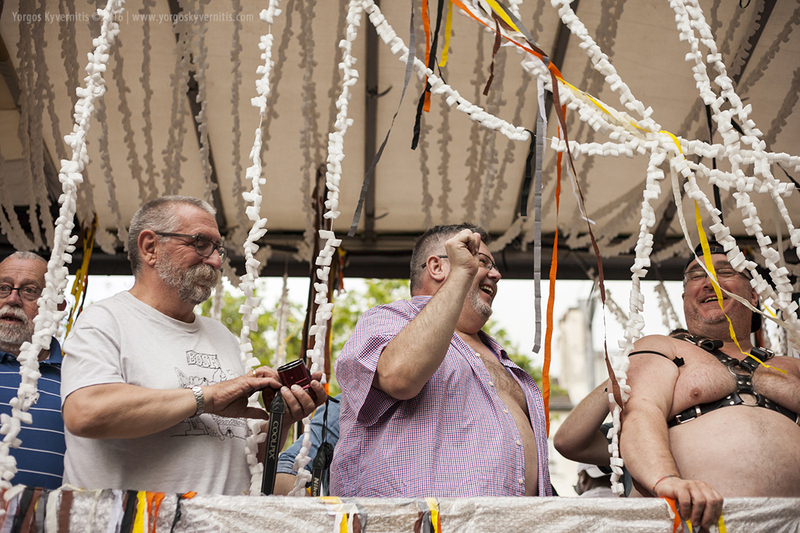 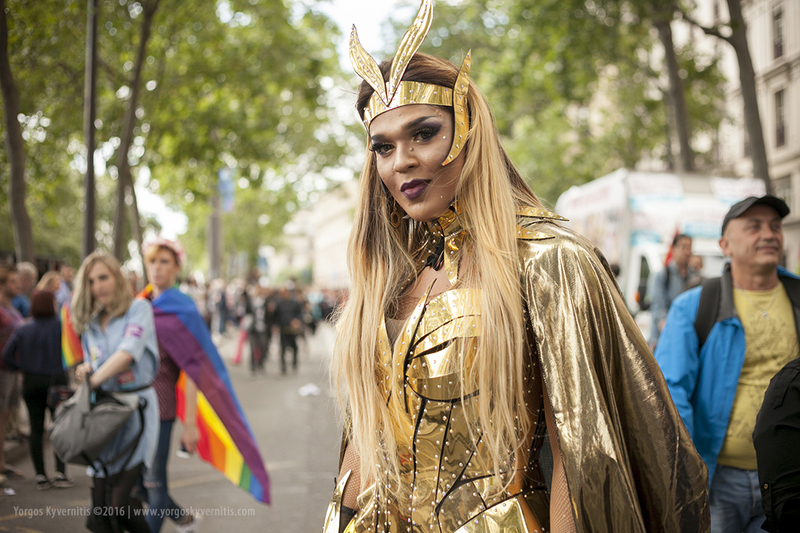 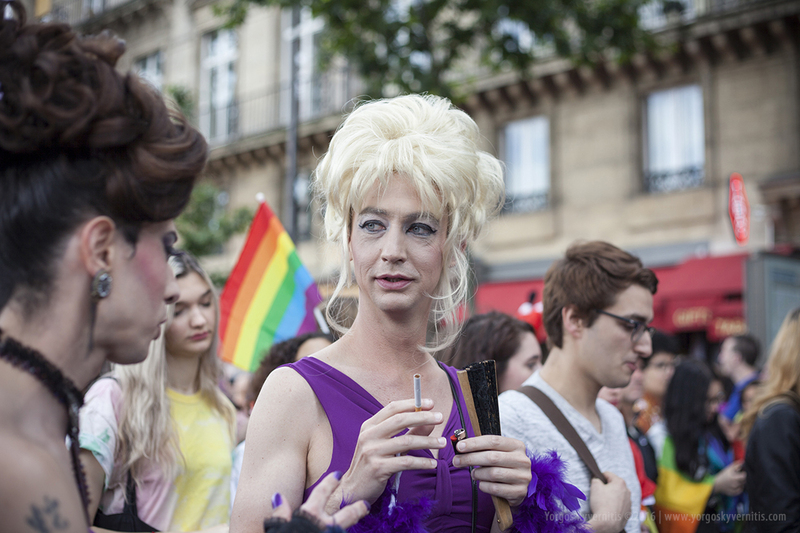 With the slogan: ‘Les droits des trans c’est une urgence’ [‘The rights of trans are urgent’] thousands of people gathered in the center of Paris for the Gay Pride 2016. 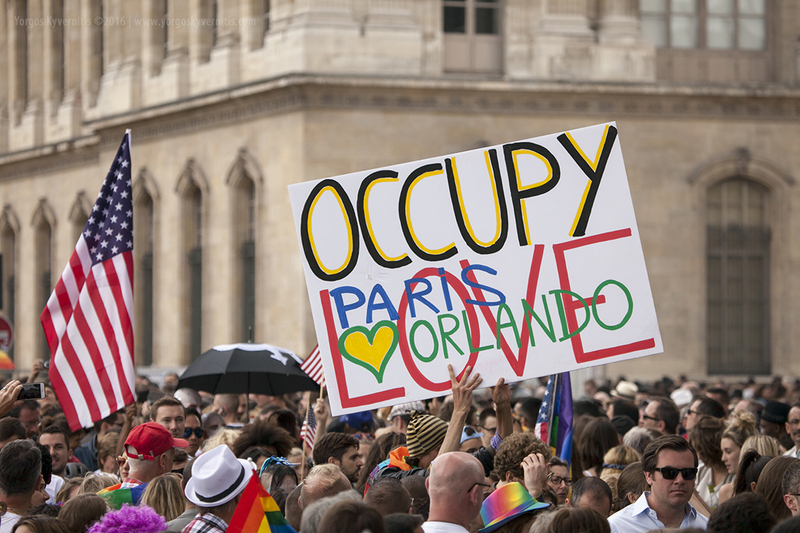 A huge celebration was erected from the Louvre museum to Bastille. 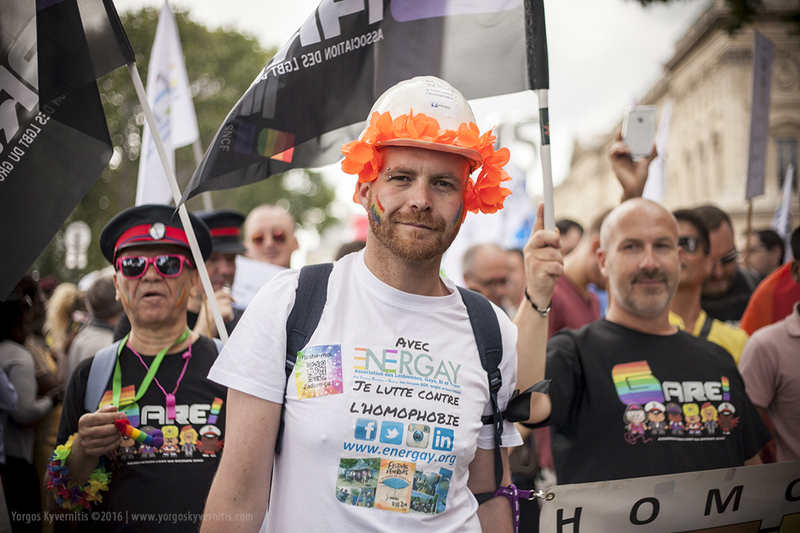 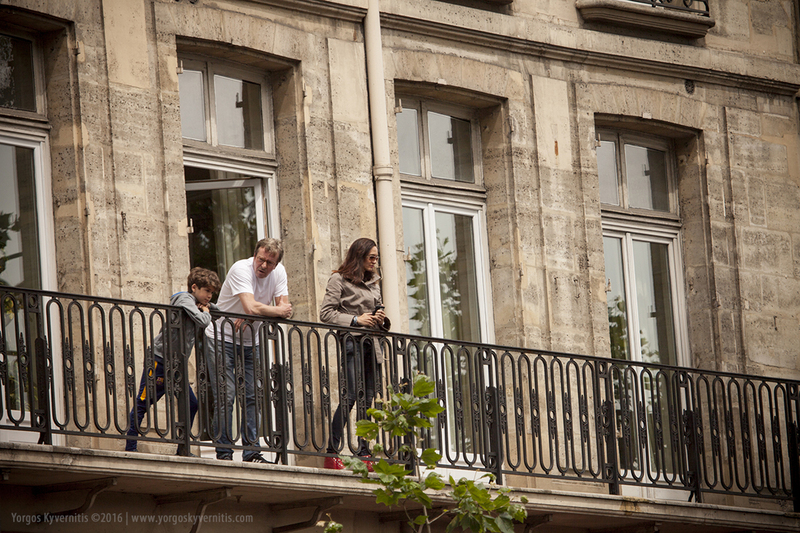 Social, labor and political groups, including the Left Party [Parti de gauche], the communist Party [Parti communiste français], environmentalists, liberals, the block of the police and motorcyclists, made their presence felt their. 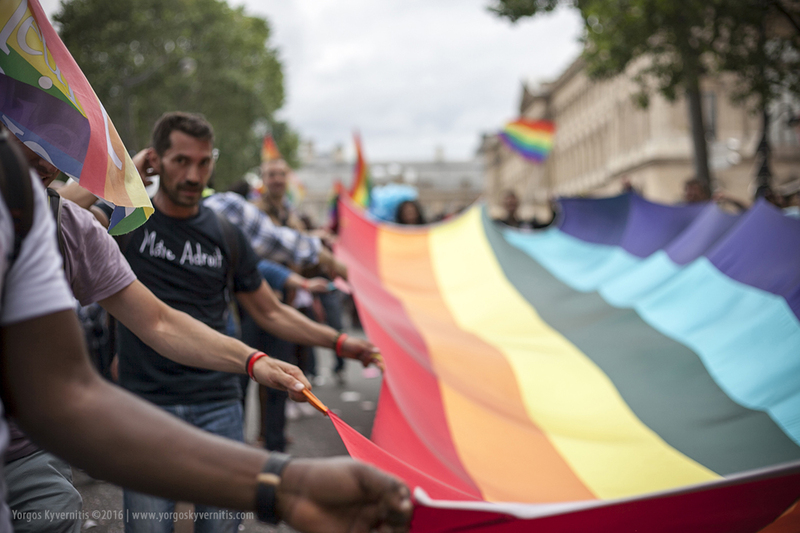 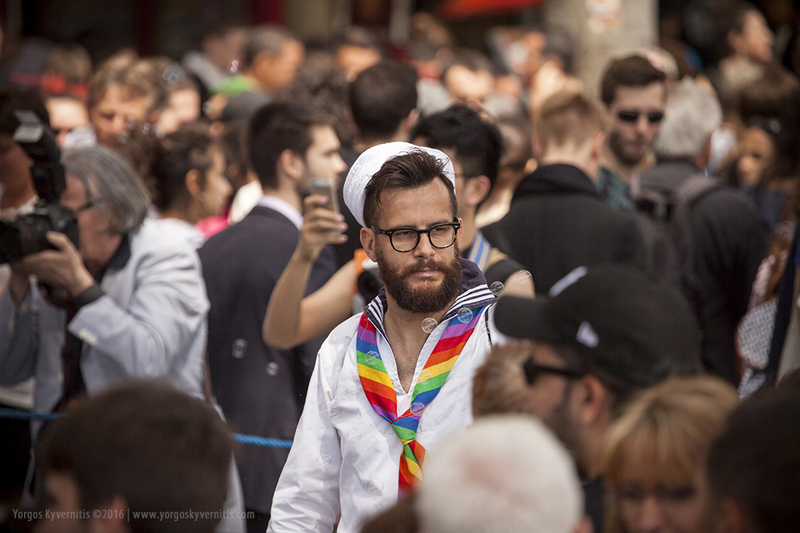 During the parade, a minute of silence was held, in memory of the victims in Orlando. 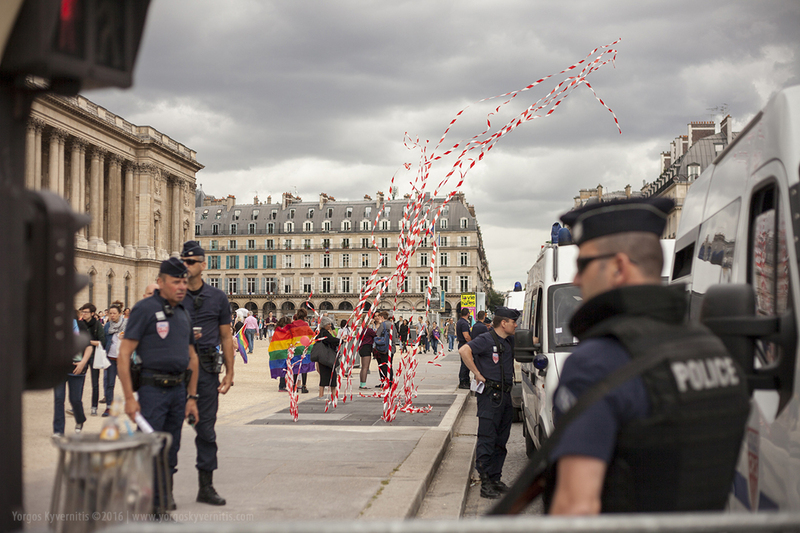 The police presence was strong, while necessary was the physical control to access the area. 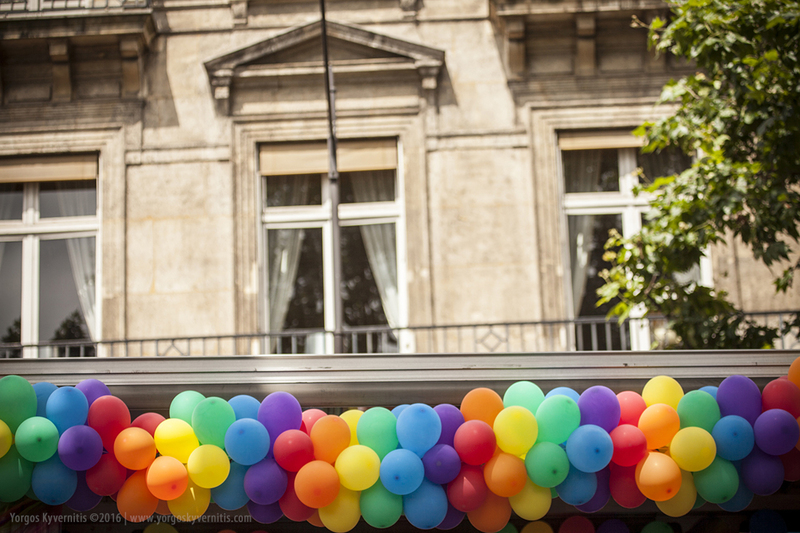 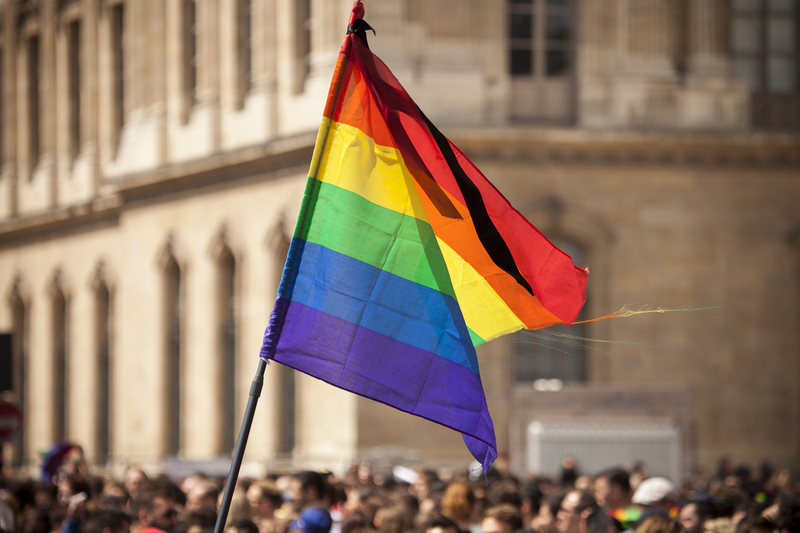 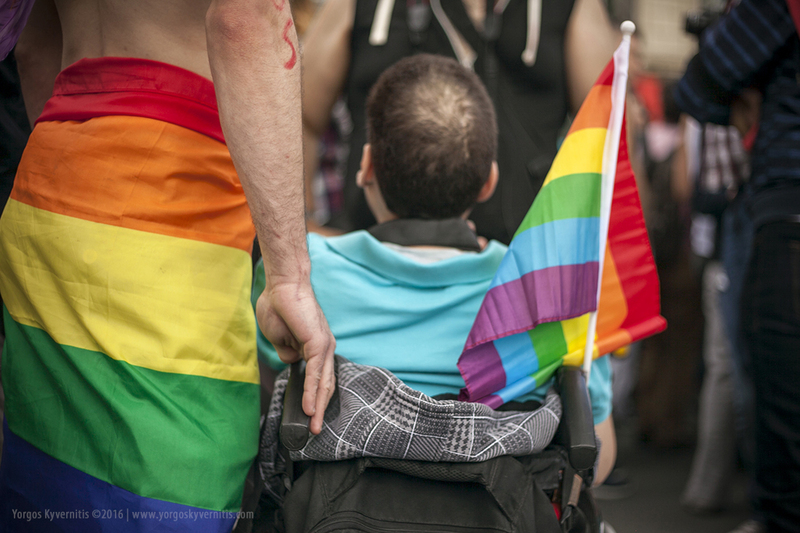 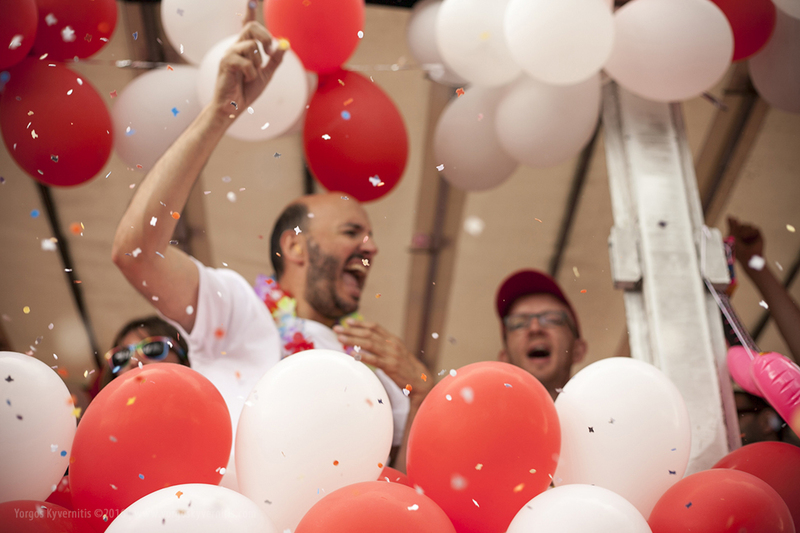 It is worth noting, that the district commissioner Valérie Pécresse, conservative, reduced the funding of Gay Pride for the first time and the region did not participate in this year chariot.